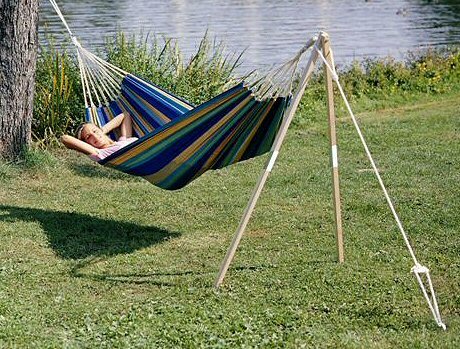 I picked up a hammock at a sale, and now I am trying to figure out, how to use it without involving surrounding features (trees, poles). 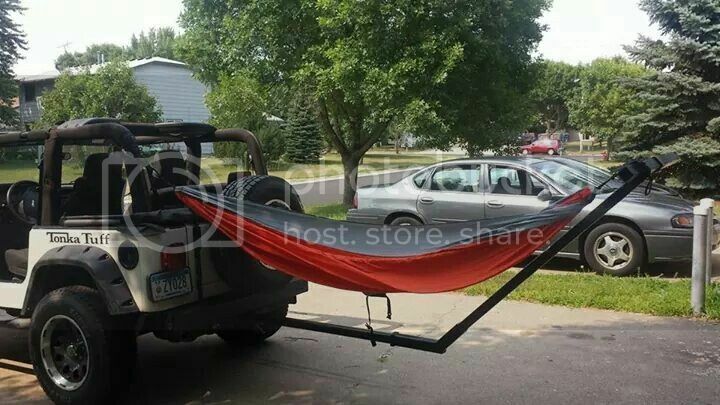 "Take a break on the trail and relax for 30 minutes in my hammock mounted to my car" sort of setup. I have the roof rack as mounting point, but where to go from there... Any good ideas? '02 WJ, 4" lift, 35s, 242HD, Ox locker, trussed Super30 front, plenty of leaks ... it's a Jeep thing. I am not happy with the Google results. That's why I wanted to get some brainstorming started here. There are trees on the trails and alongside roads. Just use a tree. 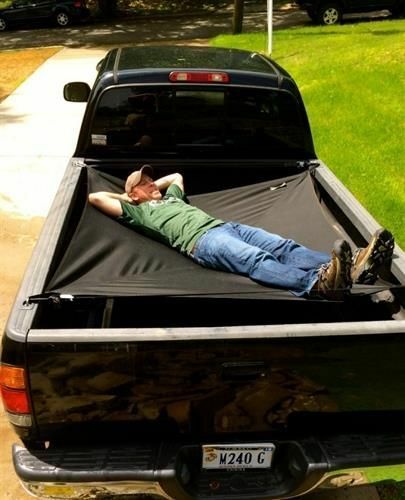 Not a whole lot of options unless you own a wrangler cuz you can make a hammock between the roll bars. A tree is better than having to haul a pipe, wooden poles, etc with the rest of your cargo. The one I posted doesn't get much simpler. Two sticks, a stake, and a guy-wire. 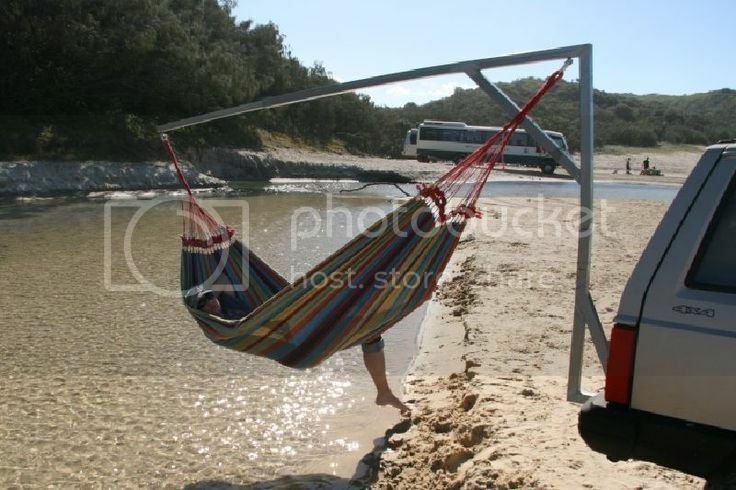 Old thread, but I know there are hammock stands that you can buy. Learning to paint with (compressor based) HVLP?